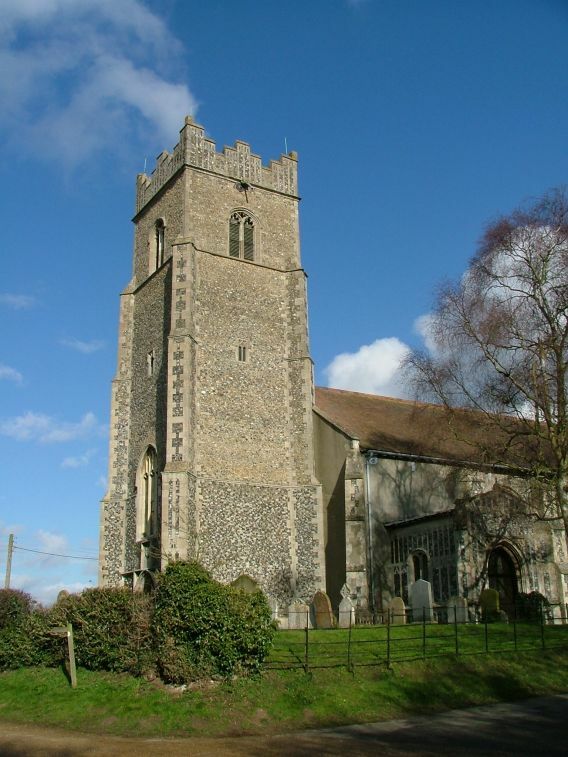 This big church sits slightly away from its village, separated from it by a ten metre section of the Norwich to Attleborough road. Metal railings keep the street from the graveyard, which stretches widely to north and east. 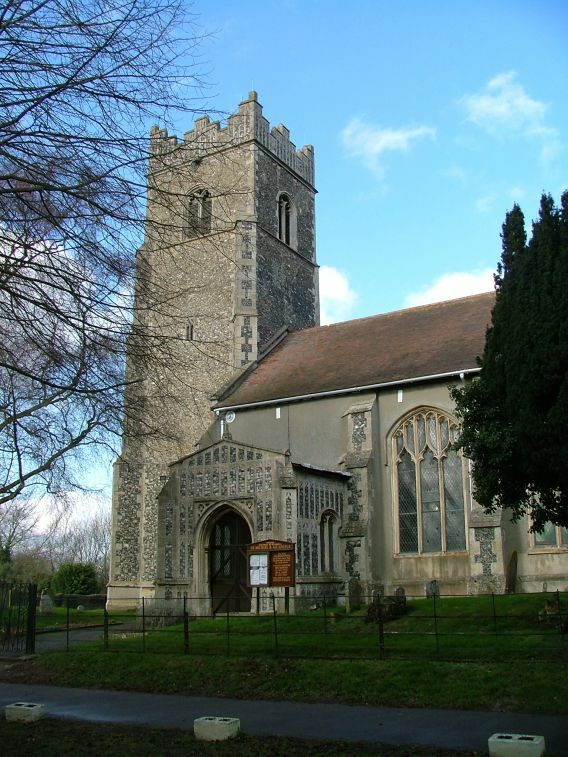 St Michael is part of the friendly and welcoming Pilgrim Group of parishes. 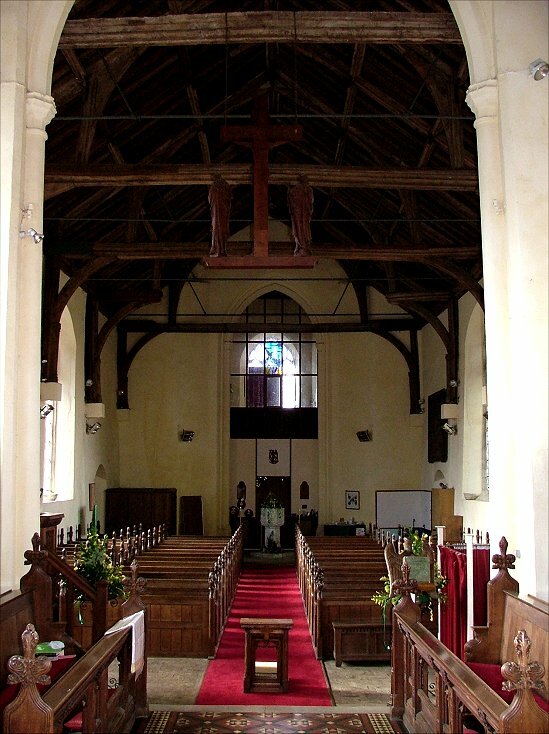 Very much a grand 15th century building, the lack of aisles and a clerestory is compensated for by massive Perpendicular windows in the wide walls. 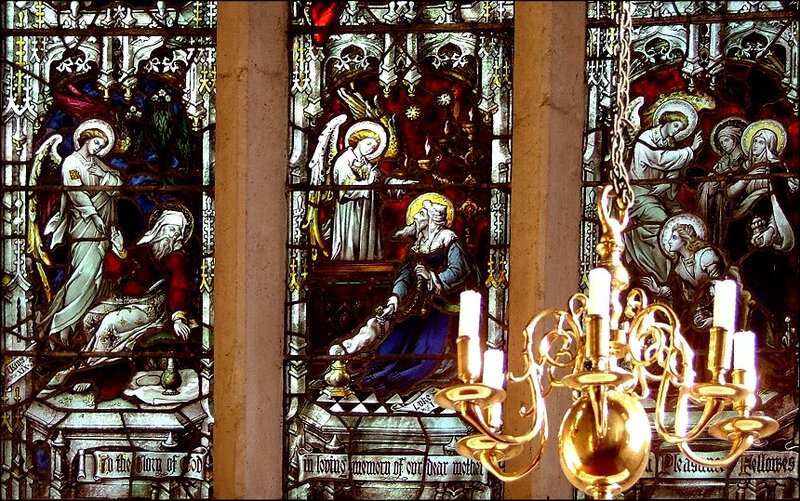 These contain what are among the widest naves and chancels in Norfolk, and the whole piece is concluded in a glorious five light east window of about 1450. 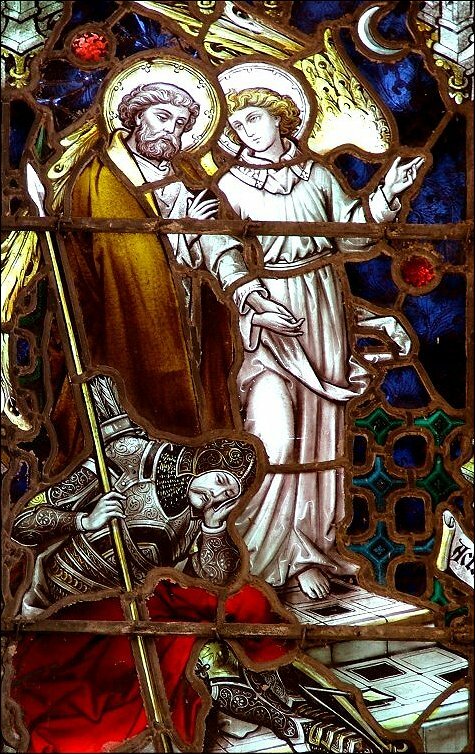 If St Michael was suddenly lifted and dropped into the middle of Norwich or Cambridge it would look very much at home. The sense of space is immediate as you enter through the south porch. 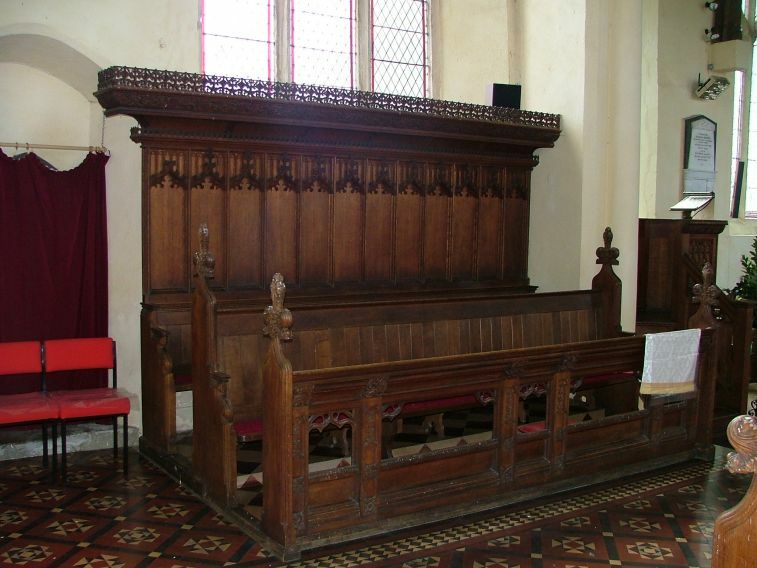 Curiously, the benches were obviously designed for an aisled church; there are four sets of ranges, one long and one short on each side of the nave. 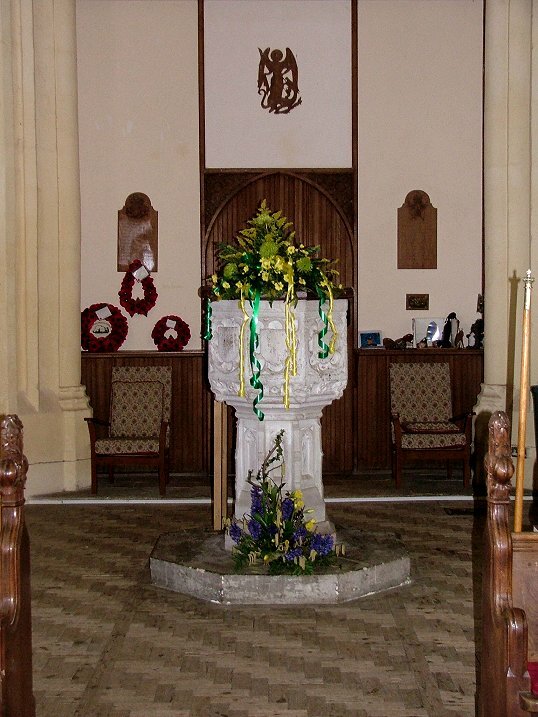 The font, with its shields set in quatrefoils, is obviously contemporary with the rebuilding of the church. 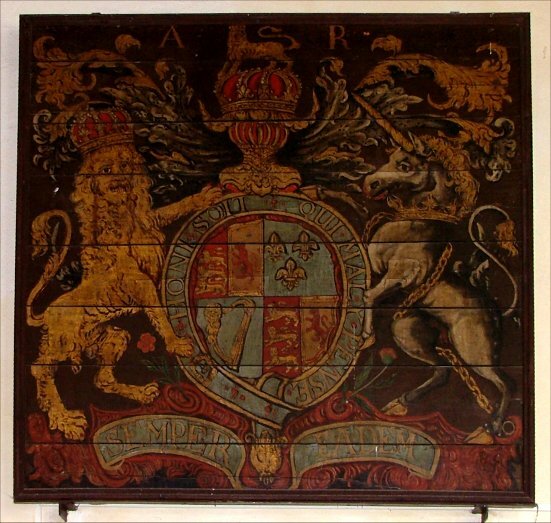 The royal arms are one of the best Queen Anne sets in the county. 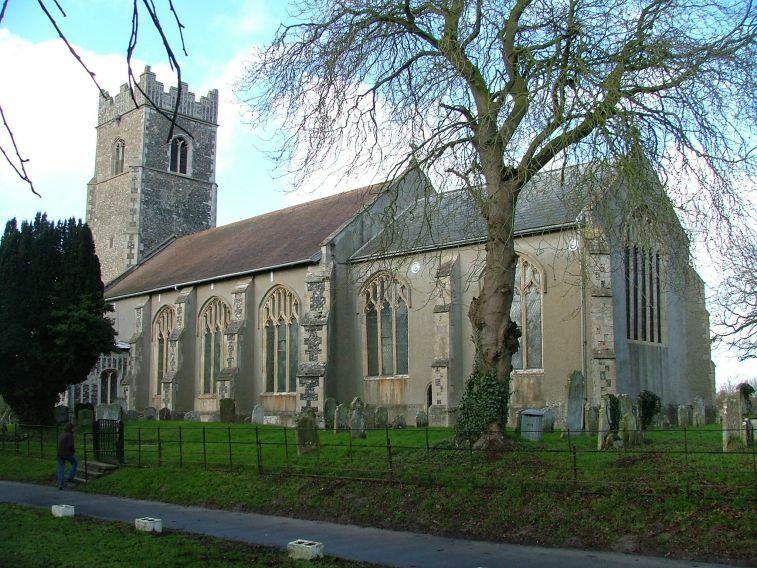 If the architecture here generally reflects the mid-15th century, it is the late 19th and early 20th century that have given the interior its character, because Bunwell, particularly in the years preceding the First World War, was in the vanguard of the triumphalist High Church Anglo-Catholic movement. 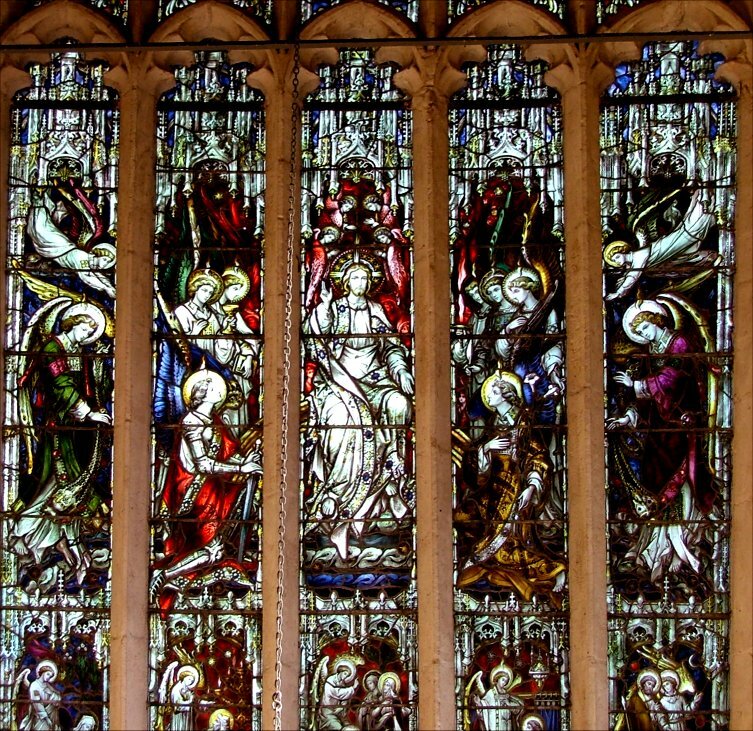 The great east window, unveiled at Easter 1914, reflects something of the mindset of that time, a nation poised casually on the edge of its greatest trauma. Saints in glory, knights in shining armour, flames and incense and the shimmering peacock feathers of Angel wings congregate about the enthroned Christ. For a moment, you get a hint of, and perhaps even sympathy for, the sheer confidence and zeal of a Church that could conspire with other institutions to send teenage boys off to die horribly. 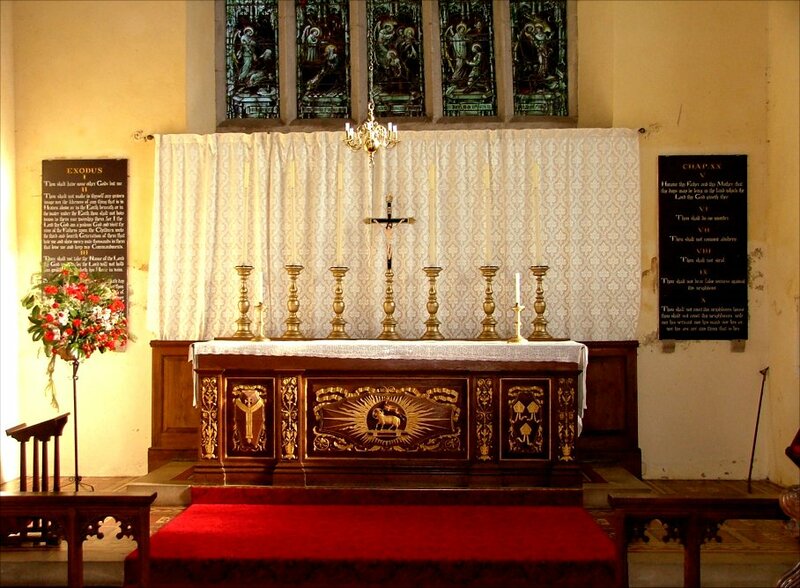 The altar is still dressed for Anglo-catholic ceremony, but the Church of England has changed radically since those far off days, almost a century ago now. And England itself has changed, even more. In a sense, WWI brought the 19th century to its final, late close, and things could never be the same. 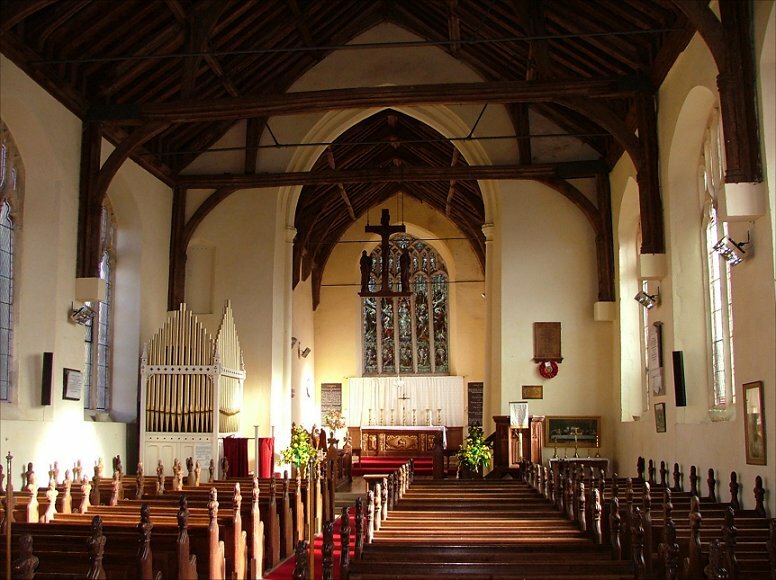 And yet, almost in a fulfillment of the aims of the Oxford Movement, the Great War cemented in place the idea of the Church of England as a National Church. 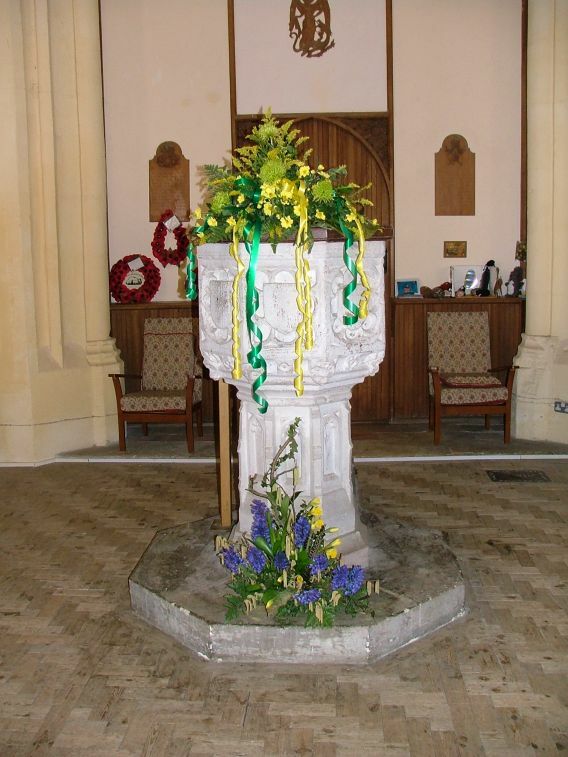 The CofE ministered and mediated the grief and the triumph of a people, a web of healing and authority that spread across the twenty thousand Anglican parishes of England, the Church becoming at last a touchstone for thousands of communities in their yearning to make sense of what had happened. At parish level, the Church helped us to see, and even understand, a divine mystery at work; but it also encouraged us in our self-deception. And always, there was the self interest inevitable in any institution. We were comforted for a while, and this web would be slow to unravel, but it would leave us blind and almost unprepared as we stumbled towards an even greater holocaust, of course. And beyond that, the Church was terminally constrained by the identity it had brought upon itself. 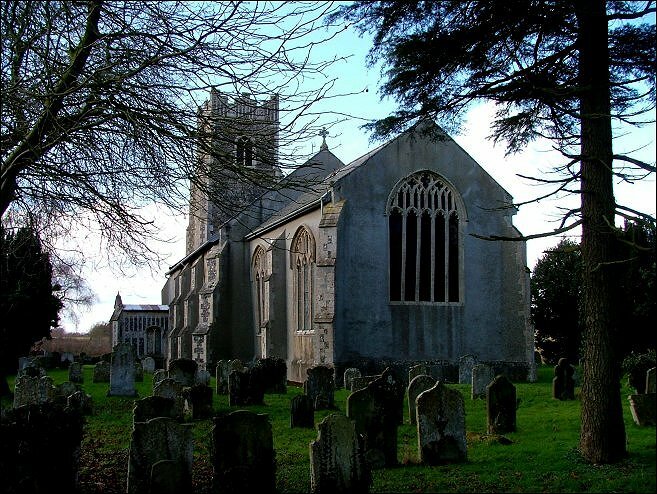 This is not to blame the Church of England for anything, but merely to observe how an institution reacted to, and was changed, by a significant fracture in European history. 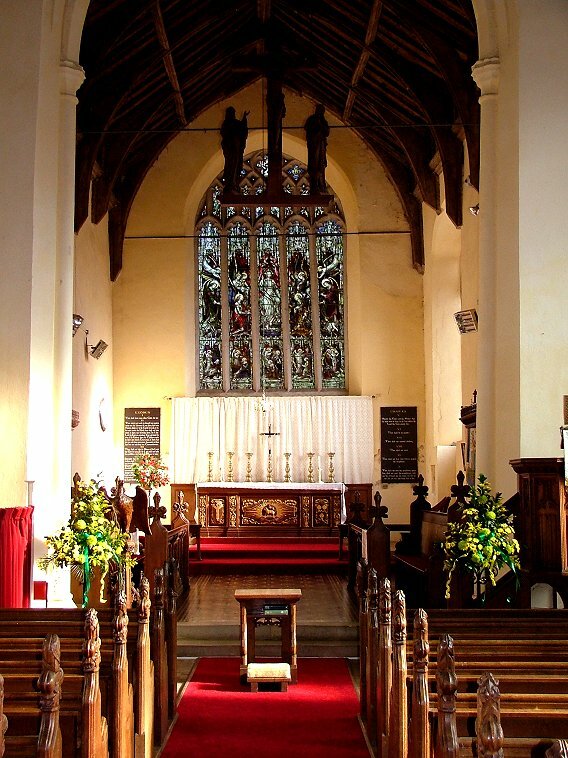 The tendency to think of Anglicanism as 'normal' British Christianity persisted until well into the 1980s, and even exists today in some quarters. The rood group here is the War memorial, the names of the lost on a wooden plaque on the nave wall.